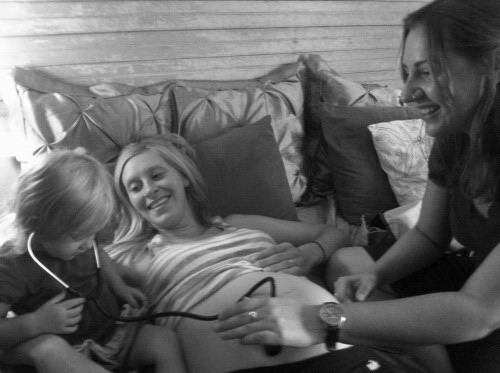 Grow Midwifery and Ayurveda – Home birth, water birth, VBAC, midwifery and Ayurveda serving beautiful Maui in Hawaii. Offering midwifery, home birth, water birth, VBAC, monitrice services, Ayurveda, IUI and fertility, and on-line childbirth education based in Maui, Hawaii. Planning your family is a sacred time. You want care providers who understand your unique family and who will give you the best information available to choose what is right for you. This is not your typical fertility experience. All care is tailored to your specific needs and constitution. You are cared for as a whole person– physically, emotionally, mentally and spiritually. Grow Midwifery & Ayurveda offers fertility consultations for all. If you are just wanting to understand your body and what is healthiest for you, if you are wanting to get pregnant, or even if you want to avoid pregnancy naturally, there is a package that is right for you. 9, 1 hour fertility consultations over 9 months covering nutrition, lifestyle, herbs, cycle tracking, and energetic clearing to help you reach peak health and achieve conception. You want care that is understanding of who you are as a person, and unique to you. You want specific ideas about how to ensure your well being, not just a quick fix for your symptoms. You want to feel better in your body, mind and spirit. Ayurveda can help you to achieve true health, from the inside out. Ayurveda is an ancient system of health care passed down over thousands of years. From this ancient science comes wisdom for living that provides a framework for creating well being in your modern life. Ayurveda understands that your body has an innate wisdom, and when you are in balance that wisdom creates unlocks your true potential. Grow Midwifery & Ayurveda offers services for the whole family. Book your treatment or cleanse and start your path toward optimal wellness today! A 1 hour full body oil application designed to calm the mind, body and spirit. All oils are carefully selected for your individual needs, and to help ensure your optimal healing. This treatment is rejuvinating and relaxing– the perfect antidote to our busy modern lives! A 1 hour treatment working with energetic points in your body specifically designed for deep relaxation and release. A deeply relaxing treatment, very good for calming the nerves. Read more about marma points here. A 30 minute marma point treatment focusing on points in the face. A lovely, relaxing facial. 1 hour treatment consisting of a snehan (application of oil to the entire body), and a theraputic placement of warm oil to a specific part of the body. This treatment is tailored specifically for your needs. Great for issues like low back pain, knee pain, upper back soreness, or other localized pain that needs to be addressed. A 30 minute treatment of pouring warm oil over the hands and feet, and activating specific marma points. This treatment is great for those suffering from arthritis, or for getting creative energy flowing. Perfect for pairing with a marma point facial! Kitchari is an ayurvedic staple. A dish of rice, split mung, vegetables and spices, it gently and throughly helps to reset the digestion and bring you back to balance. All food is prepared lovingly for your each day in your kitchen. Prices include the cost of fresh, mostly organic and local foods, and all cooking. Also includes a 30-45 minute lifestyle consultation. Add a snehan to your cleanse for only $88 + tax! “Sky was our midwife and at about this time last year we were in constant contact with her since we were expecting our baby right about Thanksgiving. From the time we transferred care to Sky which was pretty early on in our pregnancy up until the last postpartum appointment Sky was impeccably dedicated and qualified to help us with what turned out to be a miraculous birth story. “When my partner and I realized that my cycle had me ovulating on a vacation, we decided to look into having a midwife in Hawaii do an IUI. I did some research and found Sky’s webpage. My partner and I were both blown away by her awareness and compassion and immediately knew we wanted her to do it. From start to finish I could not have imagined a better experience. She involved my partner in the process and let her push the syringe. She was the perfect 3rd person to be present for such an intimate experience. If you and your partner are interested in trying on you vacation you should definitely contact Sky. Sperm pickup was from UPS and was really straightforward. Even if we don’t conceive this month, I feel so grateful to have gotten to have such a wonderful and nurturing experience.” — Jessie E.